Galileo’s Reading. Cambridge University Press, December 2013. “Crafting Early Modern Readers: Galileo and His Interlocutors.” Invited chapter for The Palgrave Handbook of Early Modern Literature, Science, and Culture, eds. Howard Marchitello and Evelyn Tribble. New York: Palgrave, 2017. pp. 139-158. Tactile." Hispania. 99.4 (2016): 600-614. “Galileo’s Library Reconsidered,” Galilaeana, XII (2015): 25-78. With Pamela Fletcher. "Digital Humanities and the Common Good." 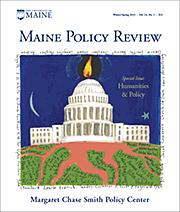 Maine Policy Review Special Issue: The Humanities. 24.1 (2015): 124-131. “‘Isolated from any village’: Vernon Lee’s Florence and Villa il Palmerino,” invited chapter for Nineteenth-Century Legacy: Anglo-American Expatriate Life in Florence, eds. Sirpa Salenius and Elise Ciregna, special issue of California Italian Studies Journal. 6,000 words. In press. “Orlando furioso: The Board Game” SMART: Studies in Medieval and Renaissance Teaching. Peer-reviewed article. 5,000 words. In press. “The Poetic Value of Galileo: Giulio Strozzi’s Venetia edificata (1624) and the Myth of Venice,” Renaissance Quarterly 66.2 (2013). Peer-reviewed article. 15,000 words. In Press. “Vasari and Renaissance Book Culture.” SMA Register VIII.3 part 1. July 1, 2010-June 30, 2011. (2012): 58-87. Peer-reviewed article. 10,000 words. “Galileo’s Rhetoric of Fable.” Quaderni d’Italianistica XXXI.2 (2010): 91-112. Peer-reviewed article. 8,500 words. “Maurice A. Finocchiaro, The Routledge Guidebook to Galileo’s Dialogue (London: Routledge, 2014).” Isis 106.1 (2015): 182-3. “Tommaso Campanella, Selected Philosophical Poems of Tommaso Campanella. A Bilingual Edition, ed., trans. and annotations by Sherry Roush (University of Chicago Press, 2011).” Annali d’italianistica 31 (2013): 652-654. “Mark Peterson, Galileo’s Muse (Harvard, 2011).”Sixteenth Century Journal XLIII.4 (2012): 1201-1203. 600 words. “Lunch and Learn: Digital Humanities in the Bowdoin Archives.” March 30, 2017.
to the State of the Discipline Conference. Wellesley College. October 1, 2016. "R. Luke Dubois and Digital Humanities." Invited gallery talk at Bowdoin Museum of Art. Technologies and Renaissance Studies Group. Boston, MA. March 31-April 2, 2016. Millicent Marcus. Franklin and Marshall College. Lancaster, PA. Nov. 13-14, 2015. "A Digital Humanist in Special Collections." Invited presentation for Oberlin17 Special Collections Unconference. Bowdoin College, Brunswick, ME. June 3, 2015. "Galileo's Library and Network Analysis." Digitorium Digital Humanities and Early Modern Studies Colloquium. University of Alabama. Tuscaloosa, AL. April 9-11, 2015. "Distant Reading Italian Literature and Film at a Liberal Arts College." American Association of Italian Studies annual conference. Boulder, CO. March 26-28, 2015. "Early Modern Italian Astronomy in Print." Science before Science. Medieval and Early Modern Studies Symposium. Bowdoin College. February 25-26, 2015. "Galileo's Library and the Computational Lens," invited paper for Celebrating the 450th Anniversary of the Birth of Galileo Galilei, Stony Brook University Center for Italian Studies and Simons Center for Geometry and Physics. October 17, 2014. “Margherita Costa’s Flora feconda from ‘poema’ to ‘drama musicale’,” invited paper at Renassiance Society of America Annual Conference. New York, NY. March 27-29, 2014. “Galileo, Dante, and the Authority of the Italian Language,” invited talk at Princeton University’s Humanities Seminar, March 11, 2014. 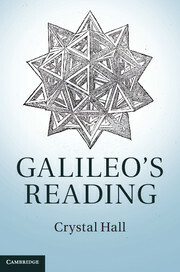 “How to Read Like Galileo,” invited talk at Franklin & Marshall College. Lancaster, PA. February 13, 2014. “What Can Galileo Teach Us About Digital Humanities?” Computational and Liberal Arts Paper Series, Bowdoin College, Brunswick, ME. November 2013. “Faith in Galileo’s Library,” Galileo: Faith, Science and the Arts International Conference, St. Michael’s College at University of Toronto. October 3-4, 2013. “Dante, Petrarch, and Boccaccio in Galileo’s Library,” Mid-America Medievalist Association Annual Conference. Kansas City, MO. April 21, 2013. “Margherita Costa in Galileo’s Library,” American Association of Italian Studies 2013 Conference in Eugene, OR. April 11-14, 2013. “Galileo’s Monks,” invited paper for “The Monk, the Priest, the Nun” conference at the University of Pennsylvania, Philadelphia, PA. March 22-23, 2013. “Vasari and the Art of Books,” invited gallery talk at the Spencer Museum of Art, Lawrence, KS. November 6, 2012. “Vasari and the Art of Books,” session at the European Renaissance Free Teacher Workshop, Spencer Museum of Art, Lawrence, KS. October 20, 2012. “Decameron VI in the Digital Humanities Classroom,” KU Institute for Digital Research in the Humanities THAT Camp Workshop, Lawrence, KS. September 20, 2012. “Digital Humanities in the Classroom,” KU Teaching Summit 2012, Lawrence, KS, August 16, 2012. “Painting with Printed Words: Vasari and Late-Renaissance Florentine Book Culture,” Sixteenth Century Society Conference, Dallas-Fort Worth, TX, October 27-30, 2011. “Roundtable: Teaching the ‘Introduction to Italian Literature’ Course,” panel organizer. For AAIS (American Association of Italian Studies) 2011 Conference in Pittsburgh, PA, April 7-9, 2011. “Galileo’s Poetic Insults to Philosphers” American Association of Italian Studies 2011 Conference, Pittsburgh, PA, April 7-9, 2011. “Galileo Galilei, Venetian Hero in the Time of Attila the Hun?” American Association of Italian Studies 2010 Conference, Ann Arbor, Michigan, April 22-25, 2010. “Galileo’s Short Stories,” Northeast Modern Language Association Annual Conference, Montreal, Canada, April 7-10, 2010. “Galileo’s Voices of Fiction as Vehicles of Truth,” invited speaker for Humanities and Western Civilization seminar, University of Kansas, December 7, 2009. “Footnotes to Satire as Footsteps of Enlightenment Science: Francesco Stelluti’s Persio sciolto (1623),” Mediterranean Studies Conference, Cagliari, Sardegna, May 27-30, 2009. “Galileo’s Lesson to Don Quijote,” Early Modern Seminar, Hall Center, University of Kansas, April 6, 2009. “Aristotle Meets Aesop and Boccaccio in the Margins of Galileo’s Library,” Newcastle University’s Early Modern Reading Conference, “The Early Modern Reader,” Newcastle, England, April 12, 2008. “The Myth of Galileo,” talk presented to the Penn-in-Florence program, Palazzo Cerchi, Florence, Italy, July 3, 2007. “In cerca di interlocutrice: Science and Poetry in the Case of Laura Bassi,” paper presented at the University of Chicago, Graduate Division of Italian Conference “Scientifica-mente,” Chicago, Illinois, Feb. 26, 2006. “Once Upon a Time in the Scientific Revolution: The Fiction of Galileo in Il saggiatore,” paper presented at the University of Pennsylvania, Graduate Romanic Association Annual Colloquium, Philadelphia, Pennsylvania, March 20, 2004. DCS 1020 "How to Read 1,000,000 Books"
What does it mean to "read" a million books? The explosion of digital editions and collections of books give us unprecedented access to rare individual texts and massive bodies of literary and cultural material. How does it relate to (or obscure) traditional "close reading" of texts? Are computer codes and algorithms something we might read? What kinds of new literary analysis do they make possible? The course applies and critiques "distant reading" as a method of making large text collections accessible to human readers. Readings include single texts from different genres, multi-million book collections, and the most recent criticism and theory related to digital texts. Along the way we are going to learn elementary R programming language to query single texts and large collections of texts called corpora. DCS 1100 "Introduction to Digital and Computational Studies"
How are digital tools and computational methods being applied and studied in different fields? How are they catalyzing changes in daily life? Uses two case studies to introduce these new tools and methods, and to analyze and evaluate their scholarly and practical applications. The first case study is based on Bowdoin's own history: how can the use new methods recreate what Joshua Chamberlain could see at the battle of Gettysburg, and thus better understand the battle and his decisions? Next, considers the contemporary, and ask what is identity in the era of social media and algorithms? Students learn the basics of the Python programming language, introductory spatial analysis with ArcGIS, elementary text and social network analysis, and basic environmental modeling. Assumes no prior knowledge of a programming language. DCS 1200 "Data Driven Societies"
What sorts of questions can and should be answered using digital and computational methods? How can such methods in conjunction with data can reveal new insights and questions about the world? How do we construct models to help us better understand social phenomena? Covers topics such as data gathering, validation, analysis, and presentation, as well as statistics and programming. 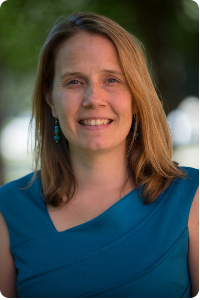 Provides substantive experience in digital and computational methods, and a critical lens for understanding and evaluating what computers can (and cannot) bring to the study of our world. DCS/ENVS 2331 "The Nature of Data: Introduction to Environmental Analysis"
Examines emerging digital techniques in environmental management and analysis within government, academic, and media sectors. Topics include collaborative resource management, leveraging the power of social networks, social-ecological system management, the role of volunteered information and citizen science, and expanding capacities for adaptation and resilience. Introduces the basics of the programming language R for network and text analysis, spatial analysis and GIS, geotagging, and crowdsourcing. DCS 2401 "Gateway to the Digital Humanities"
How do the liberal arts compute? Explore the possibilities of using exciting new tools for text analysis, network analysis, spatial analysis and image analysis. Work with data that faculty across campus are using in their own research and teaching projects. See how digital mapping can change the way we understand the history of racial identities in the U.S. Use computational text analysis to contextualize and evaluate the ways female authors express themselves within a masculine canon of literature. Apply network studies to the plots of English and foreign novels. Combine all of these approaches to gain a deeper understanding of the questions and methods being used in the humanities today. What sorts of new questions can be asked and answered using computational tools? These topics will be explored in class through a series of projects. Weekly labs will provide hands-on experience with the concepts and tools presented in class, and will give students the opportunity to work on their own projects. Assumes no prior knowledge of computers, programming, or statistics. Fulfills MCSR distribution requirement. DCS 2610 "The Rhetoric of Big Data: Copernicus to Climate Change"
How did early modern intellectuals amass enough data to feel confident that the earth rotated around the sun? How did they write about their data (texts, diagrams, measurements, and calculations) in order to eventually convince a larger audience that the Copernican hypothesis of heliocentrism was valid even though the sun appears to move in the sky? Examines the literary, artistic, religious, political, economic, and scientific context of these questions by introducing and using large-scale digital textual analysis, network visualization, mapping, and computation. Defines a set of parameters for analyzing other famous cases of big data reshaping worldviews. ITAL 1101 "Elementary Italian I"
Study of the basic forms, structures, and vocabulary. Emphasis on listening comprehension and spoken Italian. ITAL 2305 "Elementary Italian I"
Strengthens fluency in reading, writing, and speaking through an introduction to contemporary Italian society and culture. An advanced grammar review is paired with a variety of journalistic and literary texts, visual media, and a novel. Conducted in Italian.